Have you ever wondered what the best, most simplest thing for getting healthy would be? A lot of patients we see are always on the lookout for new ways to feel great, and live a healthier lifestyle – especially after experiencing something like an ankle injury that puts them out from walking for a while, or a bad back that’s kept them resting in bed for days. But when it comes to health, most of us start to overcomplicate things. We think about what foods we should fill our shopping trolleys with, what exercise routines we should do, what the best green superfood juice is, but in my opinion, that’s the hard approach. I know as humans we want results fast (myself included! ), but that’s often the primary reason why we give up on our new habits after a matter of weeks. When it comes to your health, as with everything else in your life, the key is to be consistent. Getting Healthy The Easy, And Most Sustainable Way! The easy approach is much different – you take a habit, or a behaviour you want to put into action, and make is so small, it’s practically impossible to give up. But a ‘better’ approach that works for most people is to begin slow, by cutting certain processed foods out one at a time, so that the habit is so tiny you simply can’t give it up. From there you increase the habit, and instead of not just eating jelly sweets anymore, you also don’t drink fizzy drinks, then you keep going and you don’t add sugar to your tea, and before you know it, you’ve cut your sugar intake dramatically! Although it won’t work for everybody, because we’re all different at building habits – it’s a great tactic that works for many people. Anyways, this article isn’t about sugar and reducing your intake. It’s actually about another really easy (but also highly effective) habit. It’s one thing that has multiple positive effects attached to it. Can you take a guess at what it is? I already said it isn’t cutting out sugar. Maybe it’s exercise? Or eating more vegetables? Nope, these are too hard for the beginning! It’s something really, really easy. Something you’re probably already doing on most days, but you just don’t do ‘enough’ of it. Getting healthy is all about the small things you do everyday. The small things that don’t require much work, but add up over time, and walking can be a huge contributor to that. Walking is definitely an exercise, except it just doesn’t feel like it. That doesn’t sound too hard does it”? Moderate is always good, right? The best part of walking is that you are already doing it. Probably every day! You walk to your car, you walk at home, you walk around your workplace – walking is already a habit, you just need to increase the amount of it you do. …and everybody knows how important this is. We spend an average of 9.3 hours a day sitting which isn’t good for our bodies! When you are walking you are not sitting, which is a good thing for getting healthy. Using your muscles will keep your body moving – if you live a sedentary lifestyle, chances are, you’re increasing your risk of heart disease and diabetes. But you may also be suffering from aches and pains like a bad back or a weak body. Getting fresh air will make you feel more relaxed and less stressed, while getting into the sun will increase your vitamin D production which improves your sleep – helping you to feel fresh each day. Walking has many, many, many positive effects, but you’ll have to find out the rest yourself. Don’t think a 5 minute walk is a waste of time, it’s not! Begin with 5 minutes and if you enjoy it, increase it next time to 10! If you drive to work, park your car further away and walk the rest. Even better, if your workplace is close, ditch the car altogether. Take a long walk on the weekend. Take your family or a good friend and just walk. Meet up and walk to a café or park close by. Update each other on what’s new. This combines walking and your social life as well. Isn’t walking just great? When you’re on holiday, don’t take a taxi or the public transport all the time. Walk through the city and talk to locals. This way you’ll discover more places you wouldn’t have seen otherwise and make the most of it. There’s just a few ways you can start to incorporate walking more into your daily life. I personally love to walk. And I walk each day for at least 20 minutes, whether alone, with friends, or my family. I’ve discovered so many places during my walks… plus, some of my best ideas for work and business have come as a result of me having that time to think while I walk. And always feel great afterwards which is a huge bonus! Walking is really easy. 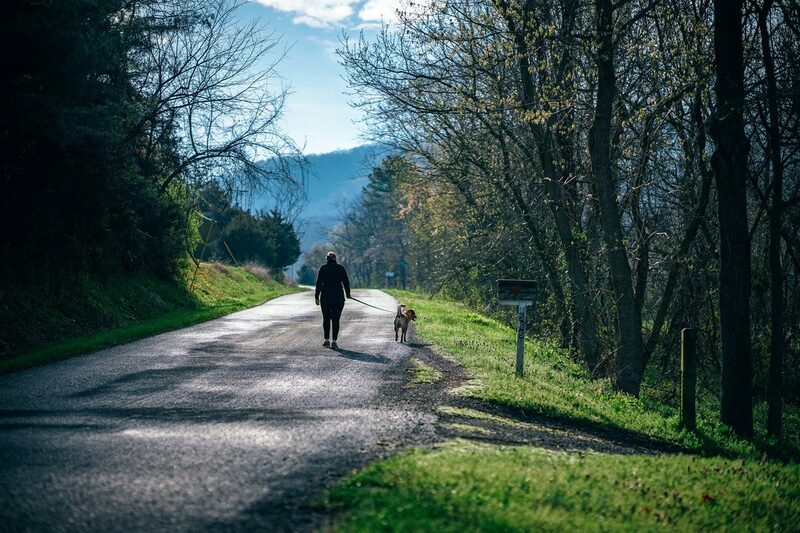 Finding an excuse for jogging is rather simple (not a lot of us like jogging), but finding an excuse for taking a short walk is almost impossible. Take a five-minute walk every day for a week and see how you feel afterwards. Increase it five minutes each week. It’s a great way to start getting healthy. The Number One Footwear Trend To Avoid This Summer!